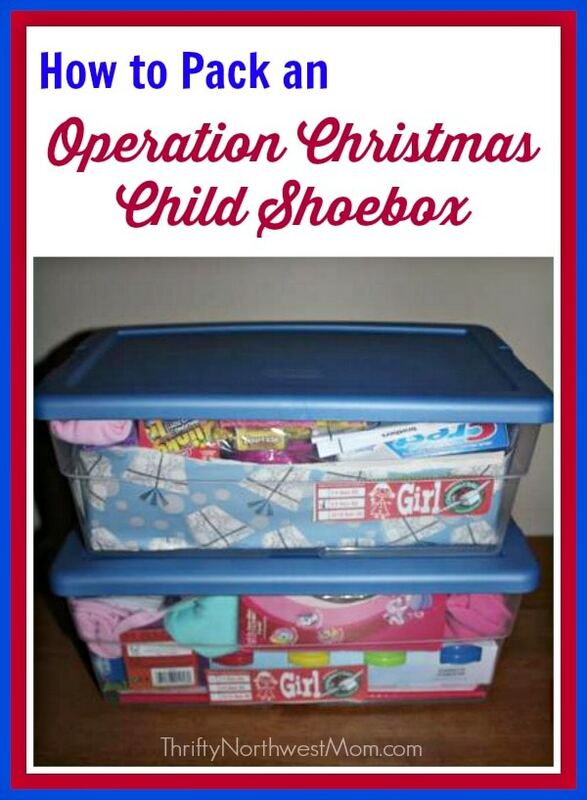 Operation Christmas Child Shoebox Discount – Donate a Shoebox for just $5! Plus Donations Matched! Wow, this is the coolest offer I have seen – right now you can get a discount when you donate an Operation Christmas Child Shoebox. A daily deal site that’s new to me, That Daily Deal, has a very special offer – for $5 you can donate a Samaritan’s Purse Operation Christmas Child Shoebox to be assembled and donated in your name. They will assemble the boxes and then deliver them to a local drop-off near their site. Even BETTER – That Daily Deal will match your donations – for every shoebox that you donate for $5, they will also donate a box to Operation Christmas Child. So if you spend $25 to donate 5 boxes, that will be 10 boxes donated as they will also donate 5 boxes! How cool is that?! They have pictures on their site of what kind of items they will be including in the boxes, so you can check that out. If you were to pay on the Samaritan’s Purse website to send a shoebox it costs $25 to fill it & send it. Or if you send it yourself, but you’ll be paying for the items you put inside, so this is a great way to donate a number of boxes at a discount & with the matching donation. We have been packing Operation Christmas Child shoeboxes for Samaritan’s Purse for years with our girls as it is a wonderful way to get your kids involved in giving to other children around the world. I still highly recommend that you do this with your children in your home as well as it means even more for the kids to be a part of picking out the items that will go into the box as they think of the ages of the child and for them to pack the box up & maybe include a special note or picture of them. Learn more about how to pack an Operation Christmas Child shoebox and what items to include in your boxes.